I just made this today and I love it! A carbonated drink of your choice. 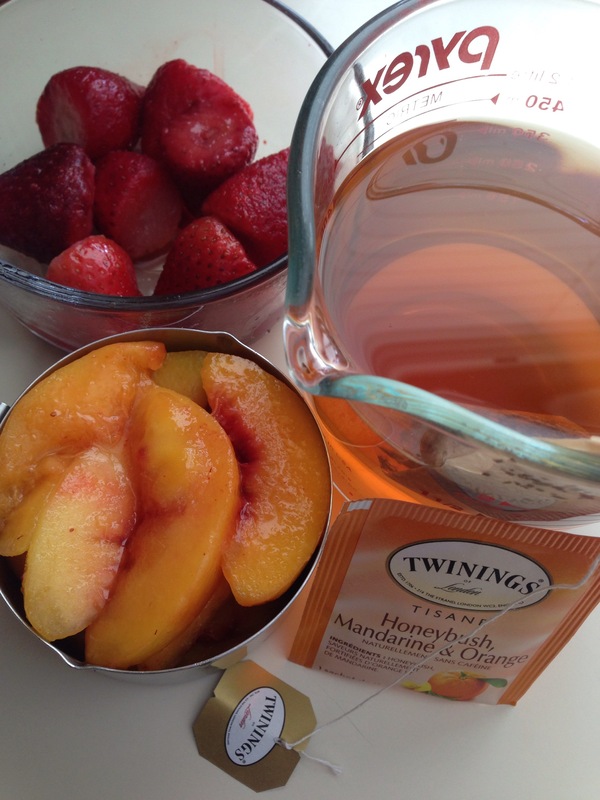 Blend all fruit with tea and honey. 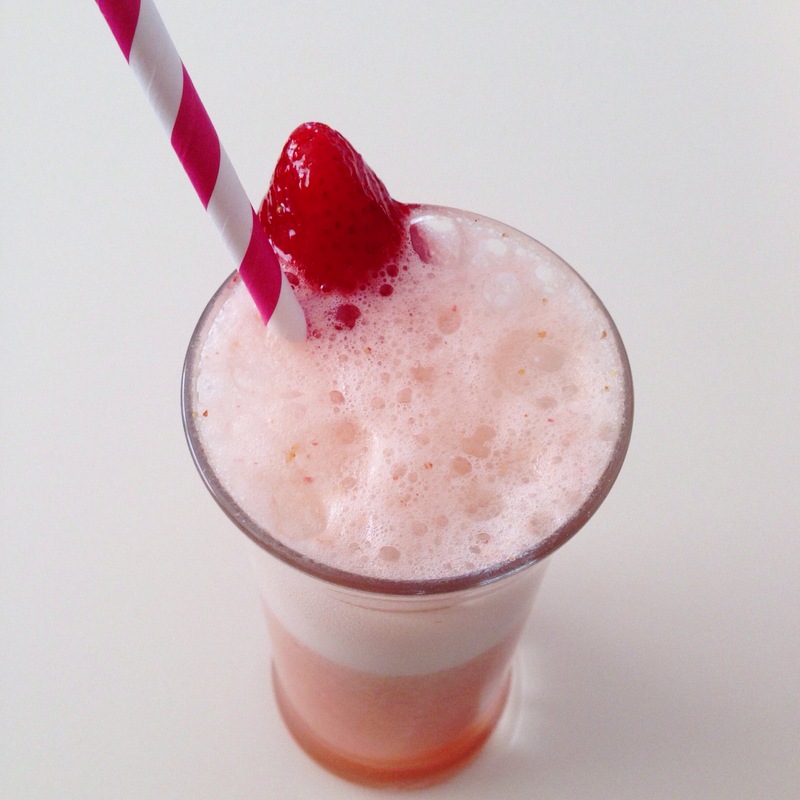 Add the blend in a glass and top it up with a carbonation of your choice. I only had carbonated spring water but if you prefer alcohol add champagne.